Keeping your tyres in good condition and extending their longevity depends on many factors and is essential to help avoid that nightmare scenario of suffering a flat tyre or blow-out whilst you’re driving. As drivers, there are things we can all do to reduce the likelihood of this occurring. In years gone by, tyres would typically last about 20,000 miles but long-lasting tyres today can clock up as much as 80,000 miles on the road. But this is no accident; it takes care and knowledge to enhance the lifespan of your tyres. Keeping your vehicle maintained and performing at optimum levels can be costly at times so by being pro-active you can reduce these costs. When it comes to your tyres, the tread directly impacts how they grip the road, so keeping an eye on that is essential. According to the Rubber Manufacturers Association, you should “regularly check the tread on your tyres to make sure it can grip the road and is not unusually high, low or smooth”. Tyre pressure should be checked at least every 2,800 miles (4,500km) or before going on long trips to make sure it’s at the correct level. Improper air pressure can cause uneven and accelerated tyre wear, tyre failure and poor fuel consumption. So, ensuring the pressures are correct can you save you money at the pump too. 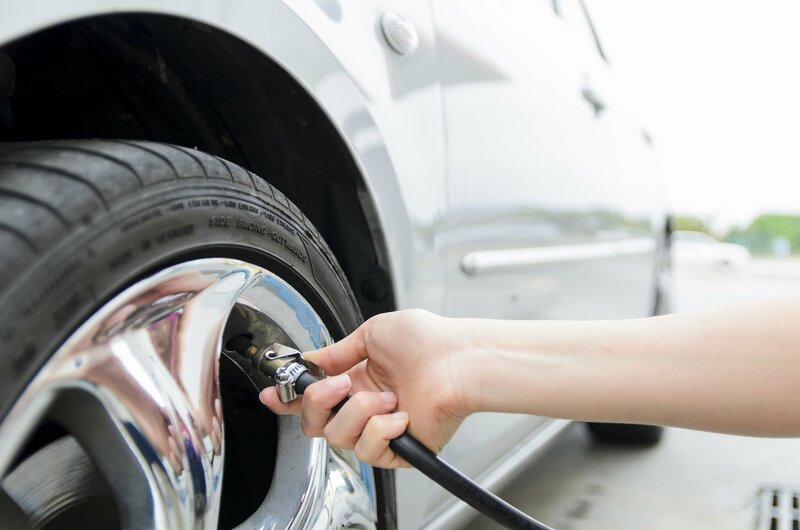 When you inflate your tyres make sure they are cool and that you fill it to the level indicated in the operating manual or the inside of the vehicles door. This takes precedence over the numbers imprinted on the tyre’s sidewall. For even wear, rotate your tyres every 6,000 to 9,000 miles to keep tread wear even. Have your wheel alignment checked if you feel the wheel pull or as recommended in the owner’s manual. Correct wheel alignment is essential to avoiding uneven wear and increasing the life of your tyres. Visually check the tyres to make sure there are no obvious irregularities in tread wear, bubbles or cracks. These could be the signs of a potential blowout. Check that the treads are not too worn. If it’s less than 2/32 of an inch (1.58mm), it’s a sign that the tread is getting too worn and you should consider replacing the tyre. Also check for uneven wear patterns, which can be a sign of under or over inflation. Consider using nitrogen to fill your tyres with. It provides even tyre wear and doesn’t expand or contract according to outside temperatures. In conclusion, by being vigilant and aware of what can potentially go wrong with our tyres, we can go a long way to avoiding hefty garage bills or even worse and suffering a problem on the motorway or a secluded road somewhere. And remember, if you’re not overly confident yourself to assess any problem or potential problem, take your vehicle to an expert who can help you.